What's New with Facebook Lottery Scam in 2019? Social media is no stranger when it comes to people being scammed, and it didn’t take long before the lottery was a prime candidate. While many people are savvy enough to avoid rackets like this, it seems some are still falling prey to the Facebook Lottery Scam. In past decades scammers used letters to send out messages to unsuspecting members of the public, to extort fees and money from them. Latterly, since the rise of the internet email has been a prime target. Now, social media is the latest in a long line of ways for criminals to try and con people out of their money. The favored platform to do this is Facebook and, if you were in any doubt as to how it happens, read on. Scammers will typically try one of three methods to try and steal money from people. You check your email inbox, and it looks like you’ve got an official email from the social media platform to inform you that you’ve won a lottery prize (even though you’ve not entered one). The email will seem to be genuine, but they aren’t. They come from an email account that has been hijacked to make it look like it’s from an official Facebook account. You’ll be asked to make contact with an agent (a criminal) who will demand money from you when you try and claim your prize. You may get a friend request from somebody you don’t recognize, and if you choose to accept (which you should never do) the person will claim to be an official from Facebook who is contacting you with a fabulous offer of money. They’ll implore you to follow his or her instructions which mean you can claim your ‘prize’ – this will usually involve sending them a fee to do so and involve clicking on a fraudulent link. They’ll take your fee and then disappear. You may get a friend request from someone you’re already friends with, or someone you appear to know in real life. It looks like there’s perhaps been a glitch on the site and they’ve unfriended you, but they haven’t. Once the request has been accepted, you’ll get a message from that person telling you you’ve won a prize and to click on a link and send money to claim it. In reality, fraudsters have cloned your friend’s Facebook account and are using it to pretend to be the person you know. Sometimes, the fake lottery messages may come from a friend’s account that has been hacked, in which case, report the page and let your friend know as soon as possible. So you’ve seen how it can be done, but here’s what happened to a few real-life people who were conned by these heartless scammers. Facebook lottery scam victim John was conned out of $200 to claim a fake ‘lottery prize’ that seemed so legitimate it had both he and his partner convinced. An agent from the FBI who turned out to be fake promised John the lottery was legitimate, but speaking the Special Agent afterward in charge of Omaha’s FBI Field Office, Randy Thysse said, “We are not allowed to photocopy or scan in or send by email or social media our credentials.” If anyone claims to be from the FBI and asks you to do this, they are fake and should be reported straight away. John added, “It’s all a big ruse. It makes it look legitimate, but it’s really not.” Facebook uses automated systems which should stop most hoaxes and block scammers, but they aren’t infallible. The advice from the site themselves and the FBI is that if you get targeted, report it to Facebook and the police straight away. If something sounds too good to be true, then it more than likely is, and that’s the message police are trying to hammer home, after an innocent man from Norfolk County lost $100,000 in an appalling act by cowards instigating a different Facebook Lottery Scam. A spokesman for the police in the county said they’d received word from an extremely embarrassed, angry and upset man who’d been conned out of a six-figure sum throughout two months by scammers who had illegally targeted him with the promise of a big lottery payout. The man said he received an alert on Facebook telling him that he had won a huge prize and to claim it he needs to forward money to pay off fees for claming and tax. “Once you see any type of indication that people are asking for money… the red flag should go up,” the Police Spokesman said. “It’s a scam.” He added that there have been plenty of reports of similar scams in the same county with victims of all age groups being hit. “You need to keep your eyes open when you’re using Facebook, as well as when you’re online in general,” he said. The advice is not to give any money or personal information out, to anyone you don’t know who comes to you claiming you’ve won a lottery prize, especially if it’s for a draw you have never heard of, or know you’ve not entered. In California, the police warned about Facebook users being targeted for hoax lottery wins after a couple who believed they’d won a substantial sum sent $495 to scammers via MoneyGram. Of course, the prize didn’t exist, and the couple was cheated out of a great sum of money. 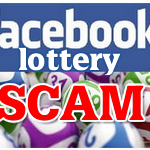 The “Facebook Lottery Splash Promo” scam is yet another lottery scam set up to fool innocent victims. The couple had received this message and had urged anyone else who gets it, to report it. One scammer has even claimed to be the co-founder of Facebook Mark Zuckerberg as proof of the validity of the lottery! Sheriff’s office officials from California have commented that other Facebook users in the county have reported getting similar text messages like the one above. If you receive one or know anyone that has the advice is to report it to Facebook and the Police. Hello, I have been scammed and lost $8700 dollars. The bad thing is that a friend that I thought I could trust told me to do this and I believed her. Red flags did go up but I thought my friend was telling the truth. I have been scammed for $10 000 Australian dollars by FB lottery I would like to know where I should go to report and what I have to do? I have been contacted numerous times about winning 650000.00.thrn they want me to pay them with Google play cards worth 750.00 then the last time offered to fly me to Menlo Park California. so I could collect it if I had won it would be free. First, I was contacted saying I won the Facebook drawing of 800,000 U.S. dollars from a lady stating she works for Samsung company, and a Samsung S9 PHONE. She told me to deposit 650 dollars to Royal Bank of The Bahamas. Then I knew it was a scam. We in the Bahamas such bank does not exist. We have Royal Bank of Canada. So I knew it was a scam. Then a John Paul calls me of What’s App sounding like a Haitian national when he was speaking saying the same thing but he said that Samsung agent doesn’t work there anymore he was trying to convince me for like four days saying pay 450 dollars to money gram or credit union. Then he said I won 800,000 dollars just pay the fee and the money would be delivered to my doorstep. He said the fee is for the security to bring the money to me when they get off the plane at the airport. I still believe it right because that type of money can change my life, he had me so convinced but its just one jokey problem, I DON’T HAVE A BANK ACCOUNT,SO I HAVE NO MONEY SAVED, AND EVEN IF I HAD IT TO GIVE AWAY MY SHORE 450 DOLLARS FOR UNSHORE 800,000 I RATHER SPEND ALL ON RUM, FOOD AND CLOTHING BEFORE I DO THAT. Yeah, johndardwin2 on insta is telling me right now I’ve been selected to receive 500,000… really??? Sent me pictures of random people he said were winners just like me living happily with their families….that’s nice. I was just contacted by a beautiful woman that If I sent her contact info and whatnot that she will take it down and that FedEx will deliver the oversized check. They aren’t asking for a fee or SS info or credit card info. I even send backlinks to her about these scams and she claims Zuckerberg put these up to educate people about scams. Told her I’ll send info when I’m home but I don’t know what to think. They aren’t asking for credit card info, a few, or any SS number or anything. Not sure what to think. I received an email from main @ fblottos019 stating I was winner of said $950,000. Said to email another for verification and funds release form. No cash was asked for. Is this one legit? I had John maxwell senior admn. For Facebook international lottery! Beware people! This is just the cruelest scam!!! I just had the same message on instant messenger but I think they must have hacked into a friends Facebook page. Small talk then asked if I knew she had won 80,000 from Facebook promo. I did block them. Yes, they are, they will never leave u alone. I’ve had so many texting me on emails, hangouts and some numbers just pop up on my phone saying that FB agents and FBIs. There still texting me to as we speak. I block them but they still come up with different numbers again. Everyone is talking about how they got contacted through messenger. I got contacted this morning on the direct line to my phone. Saying that my name was one of 10 that won the Facebook lottery. I have told her to leave me alone, but of course, shes consistant.. she says I don’t send any money, just my general information. Its information that, if u google me, u can get, unfortunately. This is also a scam, I’m sure. Since Facebook Lottery DOES NOT exist! I was scammed tonight thru messenger. Used a friend claiming winnings in a poker lottery promotion. She said she seen my screen name as a winner also. I was given a link to see if I could get my money. $200,000. I checked the link and a supposedly agent asked me questions. I answered them and he said FedEx would be delivering my money. I realized it was a hoax then. I blocked him from my messenger and calls. I honestly think that this Facebook lottery thing is a scam.. sorry not sorry, but I have other things to do rather than feeling like I am being scammed. And I will not be harassed. I was sent a message from my friend asking had I claimed my winnings. She said that my name was on a list and sent me info. I mailed a Juddy Gardner who was supposed to be an agent for facebook lottery winners. Sounded too good to be true. She assured me it was real and legit. I spoke to my friend this morning and she assured me I was not speaking to her. Her phone must have been hacked into. Is there such a thing ad Facebook lottery and claim via agent Juddy Gardner a high school pupil who lives in San Fran Sisco. Fortunately, I have not parted with any money. This person needs to be stopped. Well, you can call the help number +1 833 272 _O777, and Add Mary Jane Appricot to the list of FB scammer. She contacted me about an hour ago. 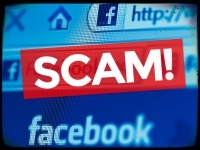 Something sounds too good to be true, then it more than likely is, and that’s the message police are trying to hammer home, after an innocent man from Norfolk County lost $100,000 in an appalling act by cowards instigating a different Facebook Lottery Scam. I was sent the same Facebook text. I won 30,000.00. His name was Paul Steve from California. If I get a text from someone saying they are Mark Zuckerberg, I will not reply. This is definitely too good to be true. 505-600-8216 is a number used by scammers who send text messages claiming that an individual may have won a state lottery. 1-916-672-0835 she said she’s a customer service REP!! for FACEBOOK THIS WAS DECEMBER 14 2018 AND TODAY IS DECEMBER 27 2018 and she said I need to hurry up. After my first message from this MRS TAMMY DAVID I LOST ALL FACEBOOK ACCOUNT HAD TO REDO EVERYTHING WATCH OUT. I didn’t lose any money however I was reached today by text message by someone claiming to be a Facebook official Erskine B Bowling 567-698-8634 and another text saying they were Christopher Wray the FBI aware of my $2,000,000. Winning. 510-985-9153 I went along with them. I was sent pictures of a certificate with my name on it and the $ amount and even a picture of the FBI agent badge and himself. They requested $1500 for insurance and delivery fee for FedEx I told them I would come to pick up the check they said I would still have to pay the fee. I had my boyfriend call for me I’m not sure what he was told but he was very convincing! December 20, 2018, I got a request to be friends to a friend on facebook. Well, then I received a message that she won a lot of money to contact this number because my name was on the list. Like hers was. So I did. The fellow was supposed to be an attorney. Government organization name Scott James. He said I won 50,000.00 but I had to pay $ 850.00 dollars then my money would be delivered by ups. The next morning. I told him I didn’t have it. He said I could go to Walgreens and get an american express card for $ 200.00 each and get 4 of them and a $50.00 dollar one. And he would message me on the 21 at 8:00 am in the morning. And they would deliver the money at 11:00 am the 21st. But I didn’t do it. I’m going to turn it into the police dept. And also facebook. So be on the lookout. A spokesman for the police in the county said they’d received word from an extremely embarrassed, angry and upset man who’d been conned out of a six-figure sum over a period. I have the same story but I got scam out of $4000 thousand dollars! I just got scam out of $3550.00 dollars they said I won a $500,000.00 F B Lottery, they said to send this money and I would receive my Lottery in the Morning at 9:00 AM, then I contacted these jerks by their e-mail they well you owe another $500.00 so I can scam. I just got a friend request from a Kate Benjamin saying stuff about me winning I don’t believe her or him at all. Add Mary Jane Appricot to the list of FB scammer. She contacted me about an hour ago. Are you ready to claim your winning money? I have received a message claiming I had 200,000 being delivered all I had to do was send two 100$ iTunes gift cards to the agent to cover the delivery confirmation details…….. needless to say I am not going to be rich again this year. Yep in June, I get an e-mail Hart Williams Facebook Agent saying I won a $500,000. dollar F B Lottery send $550.00 dollars will deliver your money then she got another $3000. dollars out me stupid me. So she got $3550.00 out of me then oh you $2000.00 more for tax release. Well, I got it stuck to me. Okay, beware of these people Hart Williams F B Agent, Eric Huffman F B Dispatcher, Derrick Williams Fedex Agent, Seany H. Lewis SNR.IRS Officer, Mr Alex U S Custom Agent, Mueller Peter IRS agent, Kathlleen Custom Agent, Mr. Gillerno F B Tax Agent, this just some of the names, I contacted Facebook about this they said would refund my money that was 5 & 1/2 months ago. I kept all e-mails Phone Numbers, plus Towns & States why do I go for help. Please let me know, Hart is begging me for money. https://www.ic3.gov/complaint/default.aspx It’s the F.B.I Internet scam complaint site. I’m sure someone will help you there. I’ve had 9 people who claim to be Mr Mark’, 3 FBI agents lost count of people who say they work for Facebook, all have paperwork and documents and photos of Mark and his family in their home. I was stupid and lost some money. Don’t be like me block them from the beginning. This happened to me July 2018 500.000 I could really do with. That Cambridge analytica data breach is that why Facebook is giving away money. Am paid the required sum for delivery that’s crazy. G’day, I’m George & I just got a email from a person name Sharon Cecil, Claim Agent at Facebook HQ….claims i won $600,000. I am very suspicious about this. What should I do?…. This happened to me today 600.000 I could really do with. That Cambridge analytica data breach is that why Facebook is giving away money. I am not paying for delivery that’s crazy. I am one that got scammed to I was contacted in May and fell for it I got scammed big time about 10 thousand dollars and now in debt I want my money back! It’s all fake. I deal with these scammers on a regular basis. I like to string them along by pretending I have fallen for their shenanigans and then call them out at the end. One of my favorite ruses is to ask them if they have my check right in front of them. When they say yes, I ask them why they just don’t take the taxes and fees directly out of my winnings since it makes no sense for me to send them the money. If they get evasive I ask them if they are trying to scam me. They will block me 99% percent of the time. Love playing games with these heartless turds. Super she saw my name and picture on the winning list, and that’s why she was messaging me. Such a scam! Thank God I didn’t fall for it. Yes and right someone who says they are with Facebook said I won $ 500,000.00 dollars and send them $550.00 to get my winnings, but the way I can send money is to buy 6 amazon card 5 cards at $ 100,00 each and 1 card $ 50.00, then send from Walmart to Walmart and they will which Walmart to send to, But one thing I have saved 3 names and phone numbers they text me from. Please notify me. I’m dealing with the same scam. I blocked the FB representative so Mark Zuckerberg contacted me using hangouts. He won’t give up trying to get me to claim my $500000. By instinct I decided to google and read about this Facebook Lottery and here it is…reading all comments. I have been cheated once for 3,000£ when I was doing research in Oxford University so I am extra careful. But the person who informed me about my winning prize has been my friend on Facebook for a long time. Has his account also been hacked. Please advise. They want me to pay today to keep my prize. This happened to me today in Messenger! I knew when they asked for money to process the prize that it wasn’t legit. I was suspicious before that because as far as I know FB doesn’t do lotteries or giveaways, there was a couple of other things that didn’t jive but I don’t want to write about them because anyone can view these comments, including scammers. If I was a scammer, I know I would be reading what the internet has to say about how to spot lotteries, giveaways that are not legit, to up my game. I also was reached through messenger that I won 200.000. By a Stiger Lynn she said she also won 200.000 and that I needed to contact Ricky Larson to get my winning prize. She said while picking up her winnings she seen my name and picture on the winning list, and that’s why she was messaging me. Such a scam! I recently became a victim of a Facebook lottery scam. I was told to buy iTunes cards, which came to $350 after I gave the scammer most of my personal information. Big mistake! I was told that it was legitimate, it was real, they weren’t trying to scam me. I should’ve trusted my instincts in the beginning. I got one too said I won 600,000.00 and when all said and done I needed to pay shipping and handling insurance came to a total of $500.00 dollars will I still get messages they even said that the state police had been notified and so was the FBI are both aware of the winning. I told them to notifier my States police and have them come tell me well they ignored that like the plague and wouldn’t be responded to the question there pretty tactical so beware what you believe they should be locked up for this crime. My brother-in-law has been scammed by these ruthless facebook lottery scammers. Just this morning, he called me asking me to loan him the $2000.00 more than he owes for the taxes on his winnings of $550,000. He promised me he will give me $20,000 when he gets his check. I looked it up and found out it was a scam. I told him if he really won, they would take the taxes out of the winnings, not charge him beforehand. He won’t believe me, he’s already paid this person: Barbara Walker $6,000! Then, he gave her my number, she texted me crossing her heart that he is going to get this money in 24 hours after I pay her what he owes! She sent me a picture of a check made out to him from Chase Bank at 1 Hacker for an address. OMG, I told her I was reporting her to the proper authorities and to leave him and me alone! I wish Facebook would compensate my brother-in-law because he’s about to lose his house and sell his truck. I also got email yesterday that i won £800,000 and all i need is to give my personal details so they can process my winning from a bank from middle east, i know that this is a scam, i hope Mark as a CEO of his own company be alarmed and i hope he will give compensation to those who been victim of this Scam! My boyfriend and I were both messaged and sent friend requests by a Jane Alexander. Before she had time to type anything substantial I called her out but not before screenshots were taken and reported. These people need to be stopped because I’ve noticed they really like to go after people with special needs. My boyfriend has the mentality of a 16 year old at best and they message him like every other day with new scams. Just this evening this lady going by the name of Linda Williams contacted me saying I won $500,000.00 from facebook lottery. She sent pictures of people receiving checks as well as debit cards and even videos from so-called previous winners. I confronted her telling her I was no idiot and she is still at this moment trying to convince me I won the money and saying I should tell no one about winning or it will cause my prize to be forfeited. I’m sorry but I can’t believe people fall for this…This Linda Williams Lady that contacted me is also sending pics of some statement supposedly sent by the FBI stating its ok to accept the prize and send money to receive my prize money. She is very persistent if nothing else. lol! It’s like she doesn’t want to take no for an answer even after I told her I was reading all about the scam online while she was trying to scam me. I also told her I was reporting her to Facebook and my local police department as she was still sending me messages. Contacted by Christen Dowell on Facebook claiming she was a lottery claim agent for USAID saying I had to choose the amount I wanted for a fee…the scammer had hacked a friend Facebook account and pretended it was her and lied telling me it was legit. beware of brooks wohlfiel and pamela wheaton harter they are working together in this scam. Be on the lookout for Uriah Thompson. Another scammer. I had a JAMES COOK contact me claiming he’s a Facebook Claims Agent. He said I won $650,000. I reported and blocked him and thought about playing along but was like screw this. Through messenger was informed of winning large amount. This was details naomi.herselman.33 I was asked to pay a large amount insurance money into Pep or Spar outlet to nr.0656004042 before prize money will be delivered by Bidvest coin. I think its a scam. I had exactly the same message through Messanger from a Marianne Hall, also requesting payment of R2000 before my whopping prize of R200K will be delivered to me by Bidvest coin. I also think it is a scam. I first received a message from one of my facebook friends on messenger which was through another cell number not the one she uses on facebook asking if I heard the good news, which I knew nothing about. She said she won and sent me the link saying she saw my name and photo’s on the winning list when they delivered her prize. She requested I join the facebook page and send them my details to have my prize delivered. 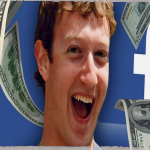 I was contacted by a Debbie Williams saying that she works for Facebook and that i won $550000 in US. Is this a scam? Talking to her now, been playing with them all day! A man by the name of Guillermo Hernandez stating he is a registered officer of Facebook, has been hounding me constantly, claiming to be a registered Facebook lottery Claim Agent, and wanting to proceed with claiming my prize. He sounds very convincing, although I have rebuked him more than once, even though he insists that it is legitimate. I live in Texas my brother just received a text from someone at Face book with his full name and says he won 600,000.00 dollars. I told my brother be careful I did not know of a facebook lottery. I told him there is no free money even the scratch off tickets cost. Is there really a facebook lottery? I say no. Kristielee bogle sent me a message claiming she was from facebook and i had won a large sum of money. Im in the process of talking to her now. I’m in Sarasota, Florida and just got whacked for $350 and then $75 in iTunes cards. I am a disabled veteran. That money takes food off my table. I think I just got scammed by a man calling himself Benndit Moore. Firstly I had to get 150 in tunes cards for shipping and insurance. Then there was a 550 dollars for something about a certificate for the irs. I paid it all. It was for 50,000 dollars. Because of this I will be out on the street. That was 3/4 of my rent money. A woman posing as Kati approached me on this. She is suppose to be living in Elliot lake with 2 kids. I got an email from David Schulz, apparently Head of Disbursement of Facebook that my email was one of the lucky numbers drawn randomly and won $950,000. They want me to keep this secret. I am supposed to contact David Schulz by email – no telephone number. I knew immediately that this is some sort of scam. Sandra Johnson from Menlo Park, California assured me her Facebook card is 100% real and legitimate. How do I report her to Facebook? This is a scam. I was just contacted and I was stupid enough to give my name and address. Hopefully nothing bad will happen. I have a friend and 5 others actually got the lottery FB cash money of $150,000 after paying $1,750, they assured me it is real cash money. And told me I have to claim mine. I am so hesitant to do it after reading all about these scams. I guess I am the big winner. My scam email said I won one million dollars. I immediately trashed it. Easy come, easy go! I’m talking to someone purported to be Mark Zuckerberg right now. I know it’s a scam, but I’m having some fun with it. First off, they are using bad grammar. Mark Zuckerberg went to college and I’m sure he knows how to use grammar. Second, I asked for his driver’s license. I got a pic of it. Then I asked him if he was in California, why does he have a Washington DC number? If it was the real Mark Zuckerberg, I’m pretty sure his number would be unlisted. I’ll let you know how this turns out. I have been contacted via facebook messenger by a Sharon Rice. She says she works for Facebook and has assured me that I won a lottery put on by Facebook. The amount I won is 500 thousand usa dollars. I am sure this is a scam. I just got an email saying that I was in a drawing for the lottery they do every year. Stated that I won 165,000 dollars from a 12 person winning pool. I gave the ticket number, serial number, and another number. They want me to fax my info to a fax but didn’t provide a fax number and they also wanted me to contact facebook payment center to set up the transfer. There also was no number to that either. Somebody named Elizabeth Carranza friended me on facebook and then kept trying to tell me I won some lottery. Their facebook profile has only been around since Nov of 2007, has no photos or any background info. After a long, long discussion with plenty of typos, they tried to prove they were legit with some pictures that I pointed out to them some were fake. They wanted to charge me $600 dollars for shipping. They said they even waved all the taxes and didn’t need to file a W-2 or 1099 for the winning, which is highly illegal. They even texted me and the number came up as from Milwaukee, WI and I told them that to which they claimed facebook has a branch office there. They do not. One of them even sent me a picture via phone of a fake Facebook ID for a Mr. Gillermo Hernandez. I kept trying to get them to pay the shipping fee or send it COD. I was also trying to get them to tell me their IP address. I found his exact ID card picture that he sent on this website: https://www.onlinethreatalerts.com/article/2017/2/28/facebook-lottery-scammers-using-fake-identifications-ids/. They have continued to persist and claiming fear is keeping me from going through even though I keep telling them I have no money. They aren’t taking “No” for an answer. My name is Ms Kanell Lynch was just scammed by a scammer saying I won $650.000 amongst 12 others and the fee is $324 which is crazy saying it’s legit when it’s not and they are still bothering me for a fee. 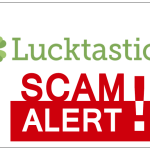 The Lucktastic Scam: Nothing to Do with the App, Hold Your Horses!